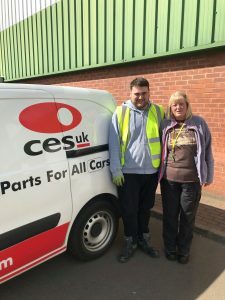 Adam started his Internship placement with CES UK / Parts Alliance, a major distributor in the automotive industry, based in Halesfield at the end of February 2019. 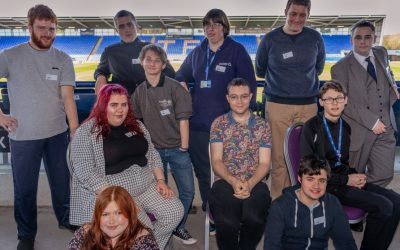 Adam has been supported by his Job Coach, Kim, who has seen Adam’s confidence grow week by week with the support and understanding of his colleagues at the branch. Adam tasks involve collecting pick notes before picking the correct item based on aisle, bay and part number, where he then allocates the parts to the correct delivery bay. Adam uses the PC to allocate returns and is happy and confident in his routine. Adam has also been out with the drivers from CES to actively deliver the parts to the local garages, he really enjoys this part of the daily work routine. Adam feels like he is really part of the team at CES and Mike Ross the manager has been really impressed with Adams approach to the work. Adam is keen to obtain paid work with the team upon completion of his Supported Internship year. There's growing recognition of trauma, and the role institutions can play in perpetuating it. But what is it - and how could a trauma-informed approach make a difference?